Reviews various pedagogical theories that inform flipped classroom practice and provides a brief history from its inception in K–12 to its implementation in higher education. Offers well-developed and instructive case studies chronicling the implementation of flipped strategies across a broad spectrum of academic disciplines, physical environments, and student populations. Provides insights and suggestions to instructors in higher education for the implementation of flipped strategies in their own courses by offering reflections on learning outcomes and student success in flipped classrooms compared with those employing more traditional models and by describing relevant technologies. Discusses observations and analyses of student perceptions of flipping the classroom as well as student practices and behaviors particular to flipped classroom models. Illuminates several research models and approaches for use and modification by teacher-scholars interested in building on this research on their own campuses. The evidence presented on the flipped classroom methodology by its supporters and detractors at all levels has thus far been almost entirely anecdotal or otherwise unreliable. 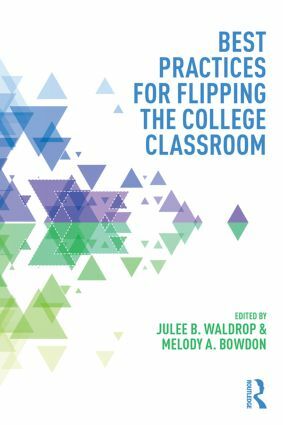 Best Practices for Flipping the College Classroomis the first book to provide faculty members nuanced qualitative and quantitative evidence that both supports and challenges the value of flipping the college classroom.